At Pet Place Market, we believe that feeding your pet a healthy food is the most effective step in providing your companion with a long, healthy and happy life. Like people, every dog & cat are not the same and some pets require specific foods or proteins for optimal health. At Pet Place Market, we believe that feeding your pet a healthy food is the most effective step in providing your companion with a long, healthy and happy life. 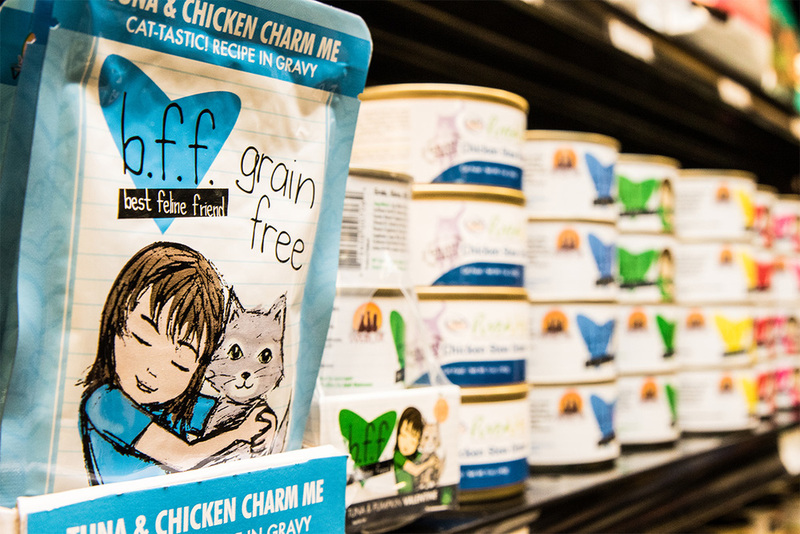 To help ensure we can help your pet find the right food we carry over 25 lines of Cat & Dog food including premium varieties of Raw and a large selection of Canned food. If there is something we don't have just ask and we can order it in or help you find a quality alternative! Rotating your pets food is for more than just variety, though I'm sure you dog or cat will appreciate that as well. Feeding the same food or even the same protein source for a large period of time is known to cause sensitivity towards food as well as allergies. By rotating your pets food, you help to avoid sensitivities to a specific protein as well as providing a more balanced diet. Different protein sources and dietary ingredients will help provide your pet with a wider spectrum of amino acids, essential fats and trace nutrients. Pet Place Market stands behind the food we sell. If you or your pet is not happy with a line of food we have sold you, please bring it back and we will exchange it for something new.